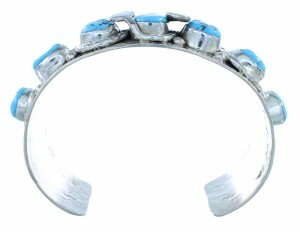 The inner bracelet circumference measures approximately 5-7/8", plus a 1-1/2" opening, and 1" at widest point. 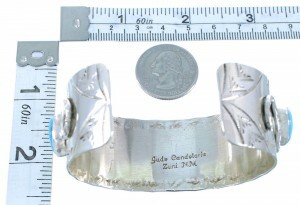 The bracelet weighs 64 grams. 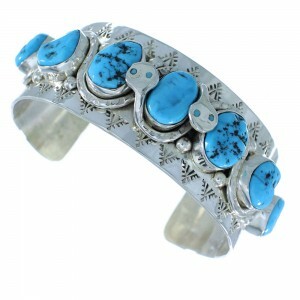 Expect plenty of compliments while wearing this stunning bracelet! 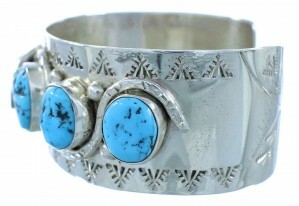 This piece of Native American jewelry is Zuni hand crafted by artist Jude Candelaria (grandchild of Effie Calavaza), out of genuine sterling silver, along with real Turquoise stones. The bracelet has a total of ELEVEN stones, SEVEN of which are delicately set in hand cut bezels in the midst of two gorgeous silver snake designs, while the other FOUR are inlaid and create the snakes' eyes. Silver beads and imprinted designs can be seen accenting the snake designs for a wonderful finish. 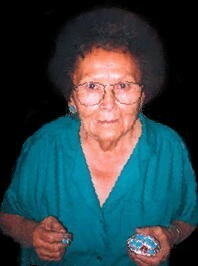 The snake is found in many healing and fertility rituals. It is also connected with lightning, speed, and being able to move undetected. 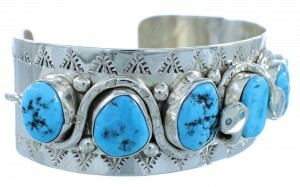 The bracelet is stamped Zuni and is hallmarked by the artist. Sterling silver, real Sleeping Beauty Turquoise.